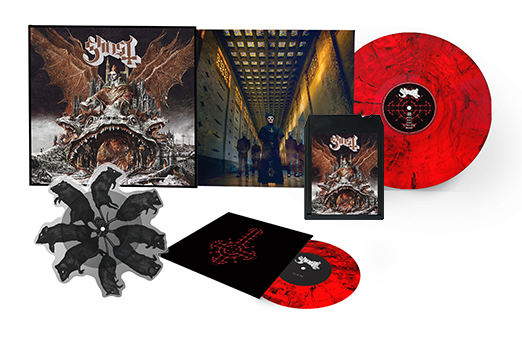 Grammy® Award-winning band Ghost today announced their fourth sacred psalm Prequelle (pronounced prē-KWELL)will be released on June 1, 2018 via Loma Vista Recordings. Prequelle is available for pre-order starting today HERE. Limited edition bundles featuring Colored Vinyl with 3D Lenticular Cover Art, 8-Track Cartridge, Cassette Tape, "Rats" die cut picturedisc, plague mask, musical eucharist case, pins, and more available exclusively in the Ghost Shop here HERE. In an interesting twist in Ghost's saga, Cardinal Copia has been appointed to take over vocal duties for the forthcoming psalm. Meet him above! Lyrically, Prequelle delves into the plague, the apocalypse, and dark ages. The entire body of work is also a snapshot of the world in which we live in on a daily basis, brought to life through an emotive, enlightening, and riveting body of songs. 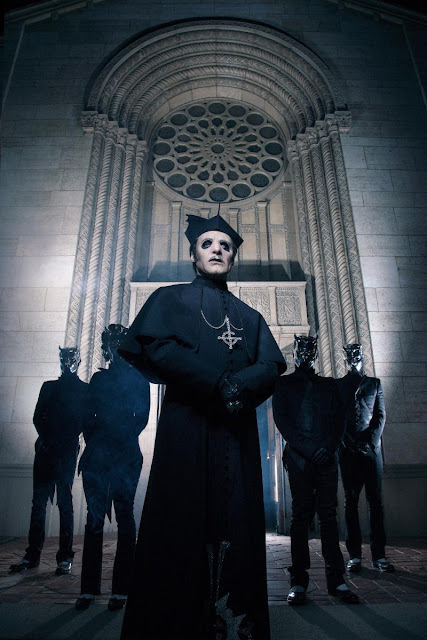 Ghost today also shared Prequelle's lead single "Rats" with an accompanying music video directed by Roboshobo. Watch the video above. "Rats" is available to stream and download now via iTunes, Apple Music, Spotify, Amazon, and Google Play. Fans who pre-order Prequelle will receive an instant download of the track. Next month, Ghost will embark on a US tour that will kick off on May 5, 2018 in Riverside, CA, and visit US Cities throughout the Spring. Tickets for the Rats On The Road Tour are available now HERE. A complete list of upcoming live dates can be found below.